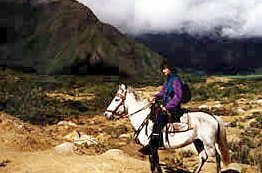 Andino Ponies comes from the high peaks of the Andes in Peru. Honed by natural selection in the tough terrain they inhabit, they are a smart, robust, and surefooted. They are descended from the horses of Spanish Conquistadors. Over the centuries natural selection has created a smaller, more compact animal well suited to the local area. They are rarely found outside of Peru.